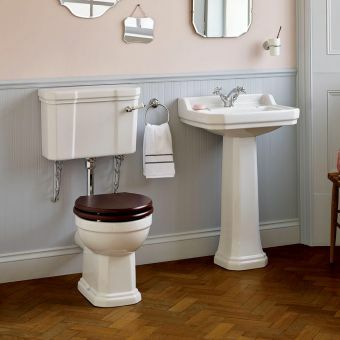 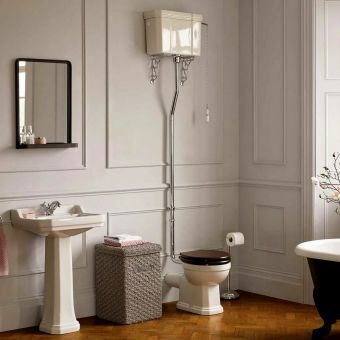 Featuring a traditional style, this Burlington toilet goes well in bathrooms with classic themes. 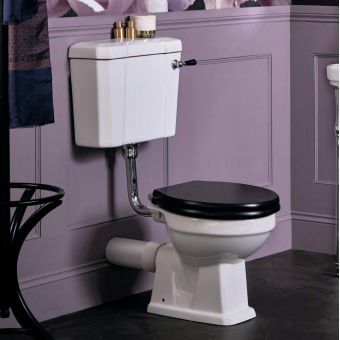 Its chrome hinge complements many colour palates, and the glossy white finish is pristine. 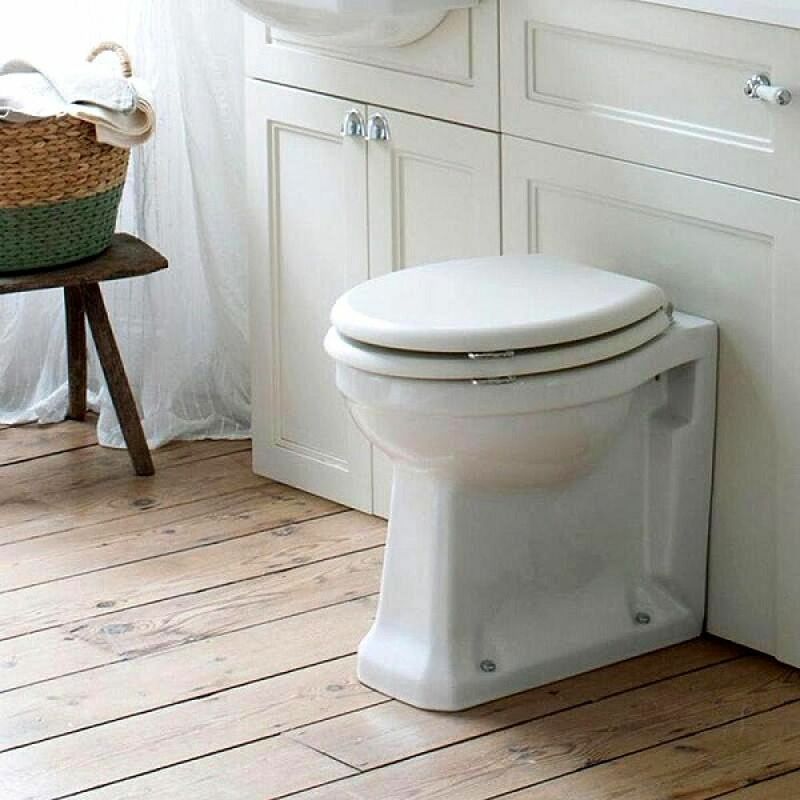 It includes the toilet pan and several choices of cover and seat options: white, oak, or mahogany, and standard or soft close. 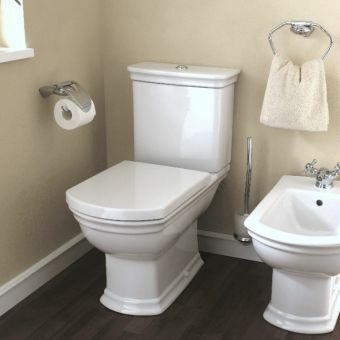 It does not include a flush mechanism or concealed cistern, so buyers must buy these separately. 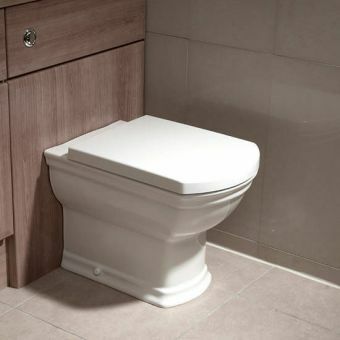 Dimensions of the toilet are 415mm (height) x 365mm (width) x 465mm (depth). 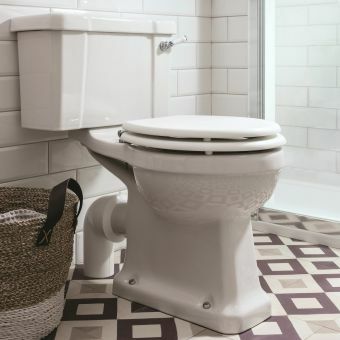 The inside of the bowl features a Nano glaze, which makes it easier to clean. 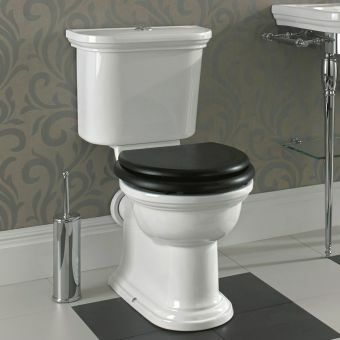 This item is part of the Burlington range of bathroom products, and complements other items from this line very nicely. 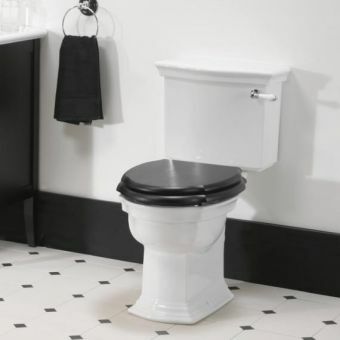 This company prides themselves on their high standards for quality, and this WC is no exception.